In 2007, Randall Tharp was running a construction business in Birmingham, Ala., and fishing local level BFL tournaments. 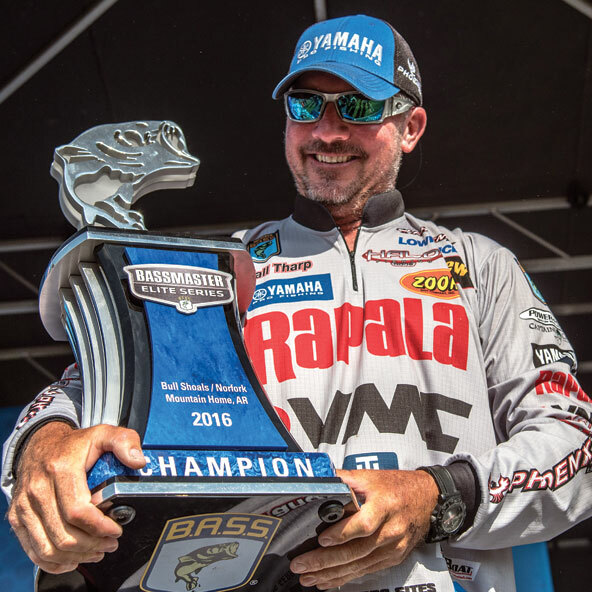 In August of 2013, Randall Tharp hoisted the FLW Tour Forrest Wood Cup high over his head in victory, taking his place in history as one of the best professional bass anglers in the world. Randall also won the BASS Elite event on Bulls Shoals/Norfolk Lake this past April. On the water, Randall is a fierce competitor. However, off the water, he is as approachable and unassuming as the housing contractor he was seven years ago in Birmingham, Alabama. What it does take is complete focus, a steadfast dedication to the water, the moral support of his wife and family...and a little raw fishing talent does not hurt, either. Randall proudly represents Rapala and VMC products.